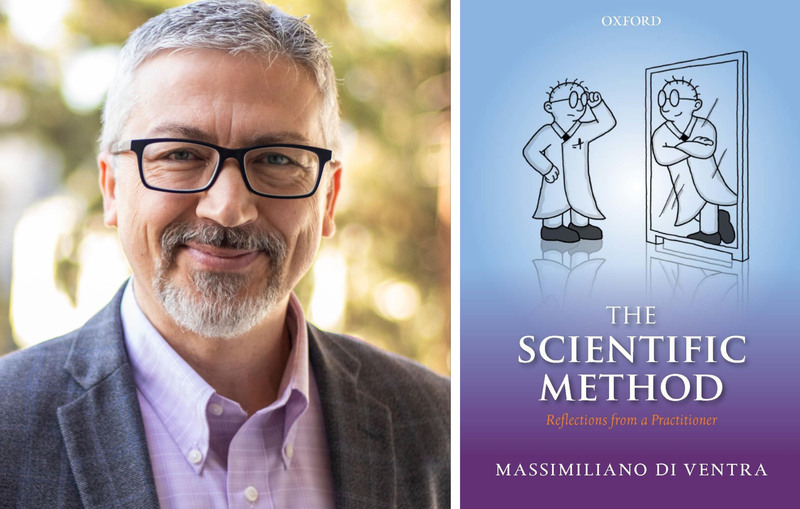 In his new book, The Scientific Method: Reflections from a Practitioner, theoretical physicist Massimiliano Di Ventra discusses in a clear and colloquial style what type of information science can provide of the natural world, and how scientists go about investigating it. At this event, Di Ventra will engage the audience by explaining the scientific methodology from the point of view of an experienced practitioner. He will also clarify the limits of science and the errors one makes when abusing its method in contexts that are not scientific. A book signing will follow the talk; copies of the book will be available for purchase from the UC San Diego Bookstore. Di Ventra is a professor of physics at UC San Diego. He’s the author of more than 200 scientific publications, three textbooks, and holds four U.S. patents. He has delivered more than 300 invited talks worldwide on his research. In 2018, he was named one of the most influential scientific minds in his field by Clarivate Analytics.